Located in the heart of Los Angeles’ Art District, this Airbnb Pop-Up home by Justina Blakeney pulls inspiration from East L.A., North Africa, and American actress Lake Bell. 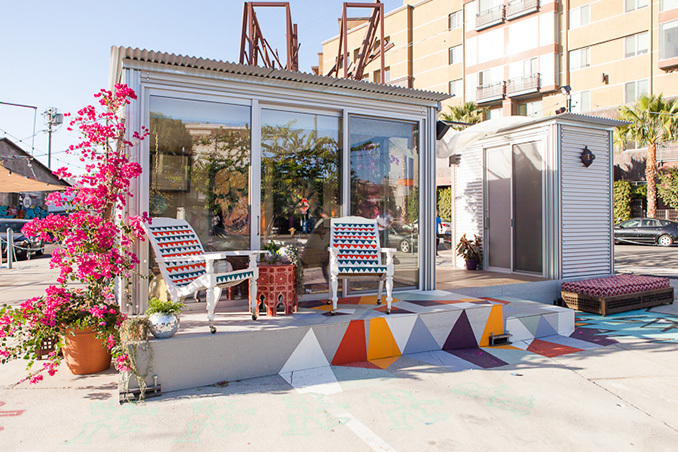 The tiny house features aluminum sidings and a Moroccan theme of bold colors and interesting geometric patterns. Aside from the beautiful design, what makes the house truly special is the fact that it was actually curated by and collaborated with Lake and her mom, designer Robin Bell.